The Chinese Shandong Yuhuang Chemical Corporation Ltd (Shandong Yuhuang) has selected a site in St James Parish, Louisiana, to build its first overseas facilities under the name of Yuhuang Louisiana methanol project. Ranked among the top twenty five chemical group in China, Shandong Yuhuang is running $5 billion assets focusing on the domestic market to produce all the building blocks of the petrochemical industry including butadiene, isoprene, propylene, styrene or toluene. In the petrochemical sector as in other industries, China is pushing to integrate locally most of the transformation of the raw materials in order to balance its commercial trades and favor employment. Despite these efforts the domestic demand is growing that much that China should continue to import petrochemical products until 2035. In this context, the access to resources is critical and for the local chemical company a survival condition to maintain their competitive advantage in front of the US-based chemical sector benefiting from the cheapest resources since the shale gas glut. Regardless the number of export licenses to be awarded by the US administration to export LNG to non-free trade agreement (non-FTA) countries, such as China, it is clear that the US-based chemical industry will preserve its advantage on the global market. In that respect the only solution for growth left to the non-US-based chemical companies such as Shandong Yuhuang is to invest in country of the cheapest source of gas supply. 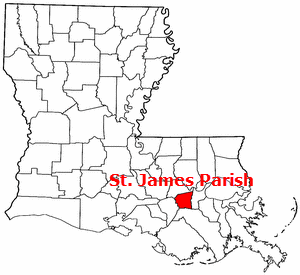 Well supported by the Louisiana Economical Development (LED) office, Shandong Yuhuang selected a site in the industrial zone of the Port of South Louisiana by St James Parish. This site covers 1,100 acres next to the Plains All-American Pipeline Terminal in St James Parish providing Shandong Yuhuang with direct supply access to the gas produced in Texas or in the northeast of USA. 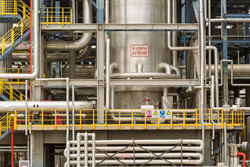 Planning to invest $1.85 billion capital expenditure, Shandong Yuhuang is phasing up its Louisiana Methanol project to reach 3 million tonnes per year (t/y) of methanol in two steps. Then Shandong Yuhuang will add a third phase to produce methanol derivatives in USA. Most of the methanol produced in St James Parish will be exported to China to feed Shandong Yuhuang local petrochemical activities in the most competitive conditions while approximately 20% of the methanol should be marketed in North America. In order to run its US operations, Shandong Yuhuang established the Yuhuang Chemical Inc. company in Houston Texas, USA. After selecting the methanol technology, Shandong Yuhuang is planning to start the engineering, procurement and construction (EPC) of its Louisiana Methanol Phase-1 project already in 2016 for the first production to be shipped to China by end of 2018. The best way to go for you to know the credible Michigan Loans Online providers. If you have already decided to take Buy Generic Levitra, be sure to consult a doctor, you don't have any contraindications and act strictly due to a prescription.